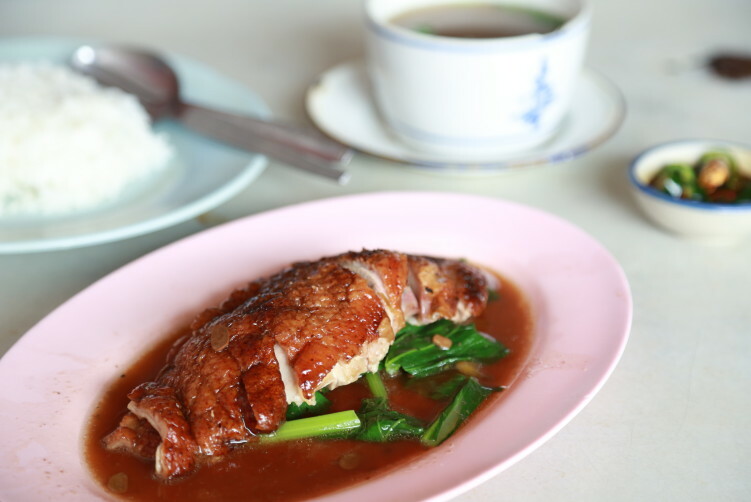 Jib Kee is most likely not in your neighborhood, but don’t let that stop you from experiencing one of the absolute best duck places in all of Bangkok. 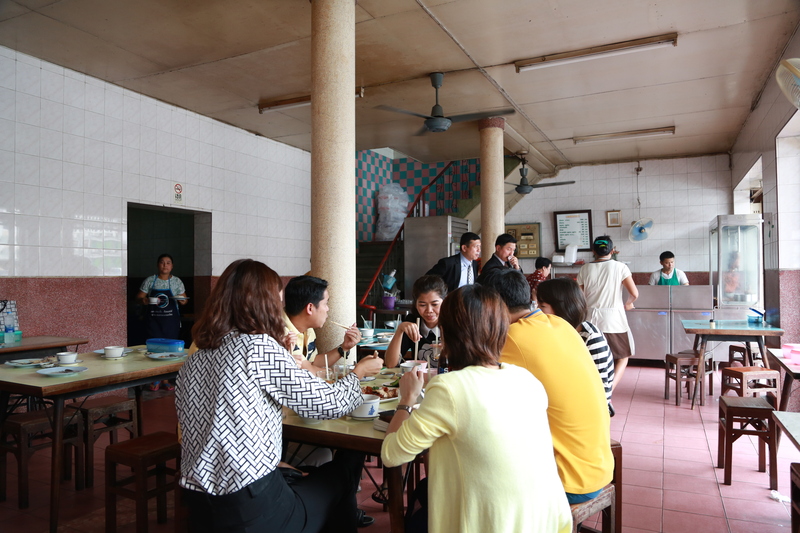 You find Jib Kee just opposite the small Nang Loeng market along Nakhon Sawan road. From what I understood with my conversation with the charming couple running Jib Kee, the shop will close with their retirement as their family will not continue the business. That’s not tomorrow, but most likely in a few years from now, so don’t hesitate to discover what will be a new favorite of yours when it comes to roasted duck. It’s a 15 minutes walk from the Democracy Monument, with another 10 minutes to add if you come from Kao San road. In other words, we are in the Banglamphu area of Bangkok, an area with a lot of good spots for eating if you’re willing to accept the walk. Jib Kee is one of the best, no matter what dish we’re talking about. Jib Kee, occupying three shophouses, have been around for decades. We’re actually talking close to 90 years. It’s a popular spot for locals, especially during lunch times. The four or five times I’ve been here, I haven’t spotted a single westerner or anybody looking like a tourist sitting down to enjoy their fantastic duck. 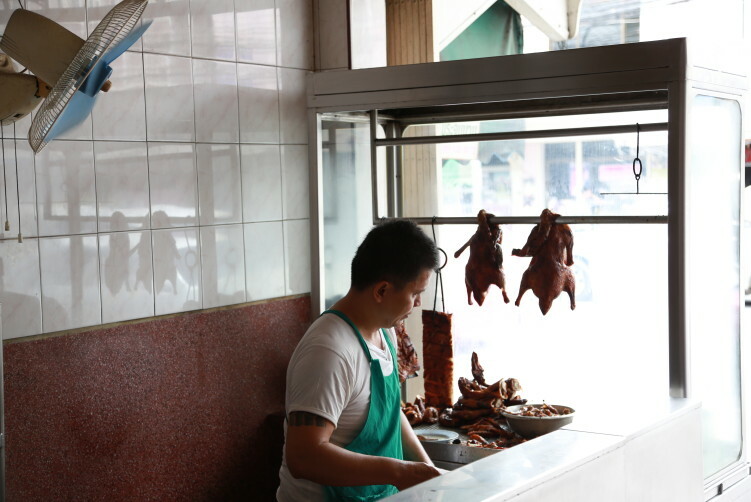 Foodies knows that Nang Loeng is an address for delicious duck as the market is dotted with some of the best duck vendors in town, but for me Jib Kee stands out. We’re talking about authentic Cantonese roasted duck. The meat is juicy, tender and made to perfection. And of course, the skin has the right crispness. Not to much, not to little, meaning the fat just melts away in your mouth. The sauce is five-spice-based and is really delicious. You also get a bowl of broth on the side that is slightly peppery (pet tun). Basically they show skills all the way. It comes with a dipping sauce, combining chillies, dark soy sauce and a bit of vinegar. A perfect match with the duck meat and the bitter greens. But of course, they also have pork belly on the menu. The red pork or crispy pork is two other reason to visit Jib Kee. The skin is crispy, as it should be, and the fatty bits literally just melt in your mouth. And when the meat is really moist and tender, you know you’re in for a real treat. Really delicious. 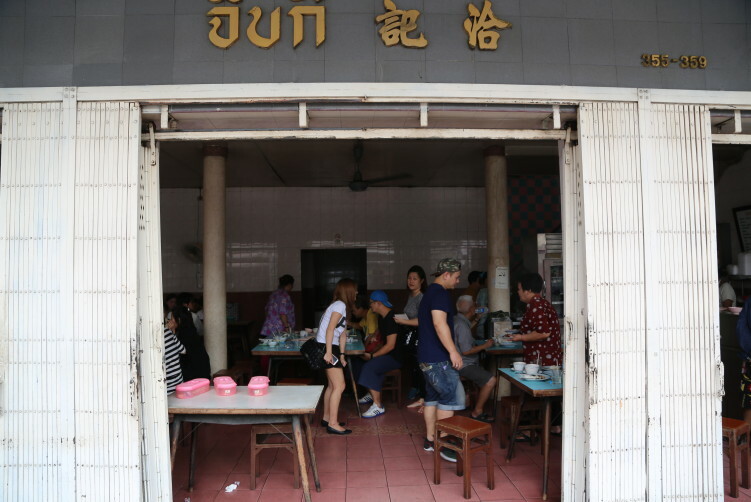 Jib Kee is a popular spot for locals, so you risk they run out of duck before noon on busy days. Of course, that also tells the story of their popularity as well. So an early lunch will be the safe route to get a taste of their birds and to avoid disappointment. Nang Loeng is a historic ground with heritage site and spirit shrine, a wet market and has been around since 1900, making it one of the oldest markets in Bangkok. https://conversionfanatics.com/healthandwellness cheap generic viagra Food: Duck and pork. They also serve bowls of duck broth. The roasted duck is my favorite together with the crispy pork. But everything is really well made. https://globaldevincubator.org/privacy-and-legal/ click here Price: 50 Bath + depending on size for rice topped with duck. You can also order grilled duck without rice (90 Bath +), or reasonable priced red or crispy pork for that matter. How to get there: No BTS or MRT here. Taxi or walking is the best option. Buss number 5 or 171 are alternatives. Nang Loeng market and the neighborhood itself are named after the Mon artistry, making earthen clay wares like pots and jars, known as e-loeng. The pots and jars was produced in the island Ko Kret (see more below), north of Bangkok. But they were sold on the canal Phadung Krung Kasem in the last part of the 19th century. The canal is close to the Nang Loeng market and is 5,5 km long. It is also an unofficial border of Bangkok’s Old City known as Rattanoksin. The digging of the canal started in 1851 when King Rama IV was in power and was finished in just a few years. It was built due to the rapid expansion of the capital that stretches in an arch from Charoen Krung Road, past Khlong Mahanak, before it ends north of the Rama VIII bridge crossing the Chao Phraya river. The canal have been cleaned a bit early 2015 so it isn’t the smelly canal it used to be. The Nang Loeng market is one of the older once in Bangkok. A stone inscription from 1887 is written in Thai, Chinese and English and is still visible in the back corner of the Nang Loeng market where the plaque’s highlights how Nang Loeng was a culturally diverse area where the city’s various ethnic groups interacted and influenced one another. In the late 19th and early 20th centuries wealthy nobles moved into the area, overlapping the construction of the nearby Dusit palaces during the reign of King Rama V. A prince considered the father of the modern Thai navy, Chomphon Khet Udomsak, lived near Nang Loeng and was highly respected by the area’s residents, including the Chinese. After his passing in 1923, the community established a Chinese-style shrine to the prince inside the market, where residents offer prayers and flower garlands to this day. Nang Loeng is the venue of a festival held annually on Prince Chumphon’s December 19 birthday that includes parades and performances.Ko Kret is still an ethnic civilization and houses Wat Poramaiyikawas, the largest temple and a sacred pilgrimage site that symbolizes Mon ancestry. The life at Ko Kret were the pots are made is still a tribal community so it should be of special interest for all those travelers having anthropological interests. It’s located 20 kilometers north of the main city and the island that has centuries-old temples. But what they are known for is of course the excellent craftsmanship in clay wares. One way to get there is to take the once-weekly Chao Phraya Express boat, which leaves the Central Pier (BTS Saphan Taksin) every Sunday at 09:00 and visits a number of attractions before returning at 15:30. The cost of the cruise and guided tour is around 300 baht (no lunch). 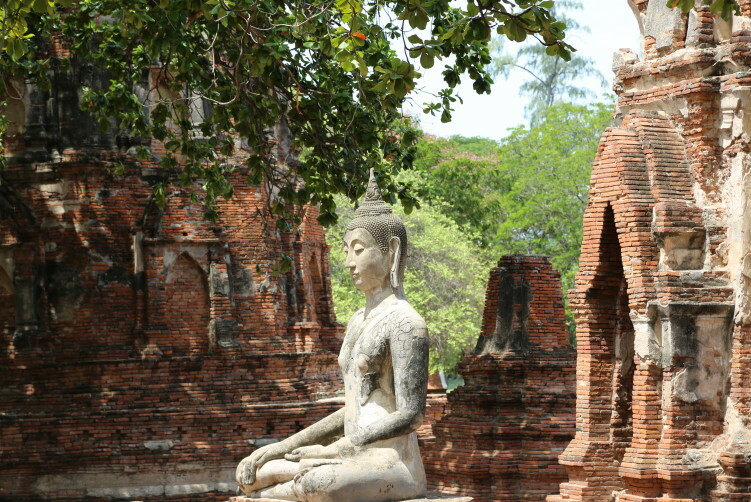 Many other companies also offer similar tours, often as a stop on a longer upriver trip to Ayutthaya. Independent traveler can take bus 166 from Victory Monument to the market in Pak Kret. From there, you have to walk about 500 meters towards the river to the ferry pier, which is located behind Wat Sanam Neua. If you happens to exit the bus before the U-Turn simply continue in the direction of the river. You will see the entrance to a fairly inconspicuous market to your left. Enter and follow the market as long as you can and you will come out near the Sanam Neua temple. It’s rather obvious from there. The Poramaiyikawas temple features Ko Kret’s signature lopsided Mon-style chedi, a 10 metre-long reclining Buddha and a seated Buddha considered Nonthaburi‘s most sacred. You will find Wat Sao Thung Thong on the other side of the island, showing late Ayutthaya-style chedi, an example on how the Mon adopted elements of their new home while continuing to preserve their own culture. 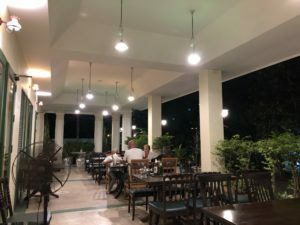 Descendants of the Mon people who arrived in the 18th century have today been assimilated into Thai society, but Ko Kret’s community retains much of its traditional Mon character.